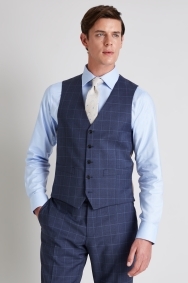 Showcase your unique formal style with this windowpane waistcoat. Every man needs a go-to, striking waistcoat when they want to make a statement. 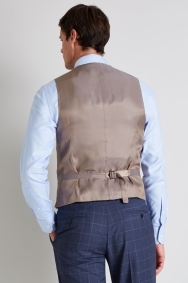 This tailored fit Italian-style waistcoat from Moss 1851 is a real winner with its classic cut and stylish pattern. It’s designed to make you look instantly sharp, so you can feel confident. For a complete look that will turn heads for all the right reasons, wear it as part of a matching 3-piece suit. Offset the checks with a contrasting pattern in your tie.